elta MD UV Shield SPF 45 has the ideal combination of active ingredients for me (Zinc Oxide 9% + Octinoxate 7.5% - simple yet reliable), and I like the fact that it contains no Titanium Dioxide which is not always cosmetically elegant (I've found an exception recently, though. Clarins UV Plus HP Ecran Multi-Protection is an all-physical sunscreen yet wonderfully elegant). 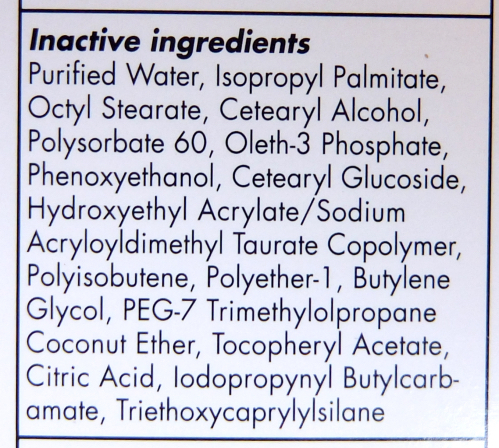 Other aspects of this sunscreen sound very promising as well - oil-free light weight formula, transparent zinc oxide, broad spectrum with high SPF protection, fragrance-free, paraben-free, sensitivity-free, and noncomedogenic. elta MD UV Shield SPT 45 is also an affordable choice. I paid less than $20 for 3 oz tube. Price point is quite important to choose a sunscreen because we all should be "slathering" our sunscreens on, no? It comes in a light cream formulation. At this point, I was almost sure that elta MD UV Shield would leave a strong white cast. But no, it disappeared beautifully only leaving a slight sheen. 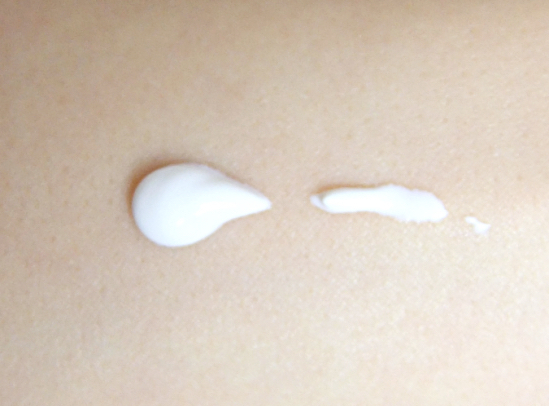 For a sunscreen with cream formula, it wears impressively well. I do not think people with drier skin types would find it particularly moisturizing, but then it is meant for oily to normal skin. I personally find it works perfectly for my skin at this time of the year. I can definitely feel that this cream sets immediately, which kind of resembles the "shrink-wrap-sensation" ever so slightly. My skin still is hydrated and comfortable, if that makes any sense. Foundation goes on easily once I leave it on for 1 minute to set (which I do with any other sunscreen anyway - it is quite important to set your sunscreen so it forms a proper barrier on skin), and it lasts all day with no issue. 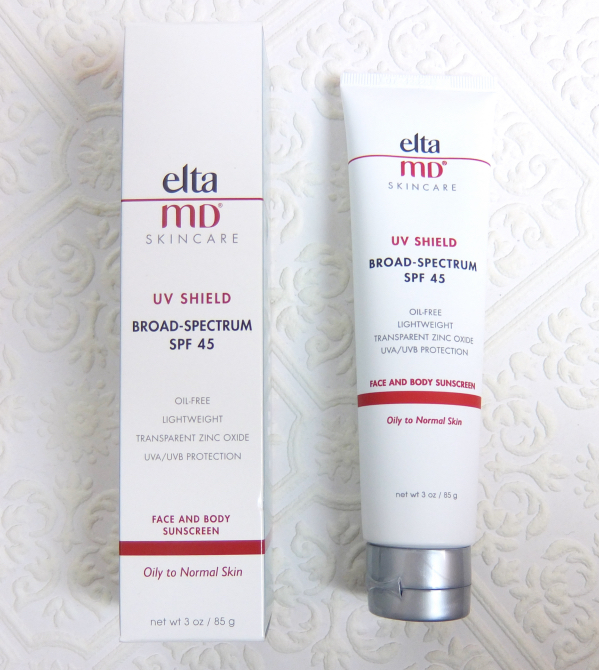 I would highly recommend elta MD UV Shiled Broad-Spectrum SPF 45 as a winter sunscreen for anyone with normal to combination skin (or a summertime sunscreen for dry skin types!). Currently I am happy to slather on elta MD UV Shield everyday, although I will probably go back to Sofina Perfect UV in summer. Some flexibility is required to keep my skin happy, I am afraid. Have you tried elta MD sunscreens? What are you using to protect your winter skin from the sun? This sounds really great! I'll have to look for it here! I bought it off amazon.com since it is not easy to spot them in stores. I have nt tried elta MD sunscreens, but this seems very promising! Currently, I'm using the Shiseido Urban Environment UV Cream. Shiseido Urban is an excellent choice! I'm a big fan of Shiseido sunscreens myself. Ahhh so this is the sunscreen you were talking about! Sounds great, I'm all about sunscreens that don't leave a white case. And looks like you get quite a bit of product for the price, too! For a cream type sunscreen with a cholk-full of zinc oxide, the finish is impressive! Sounds good! I think maybe I'd want something a little more moisturizing though for right now. I use the Neutrogena Pure & Free all year round, though it can leave a white cast when I'm more tan.. I remember you said the Neutrogena is a good alternative to the Clarins, so I'd love to try Pure & Free sometime soon. I wear makeup daily so a bit of white cast should be okay, I hope. I was the same way since all the sunscreen fanatics talk about this brand. I'm glad I finally got to try this. 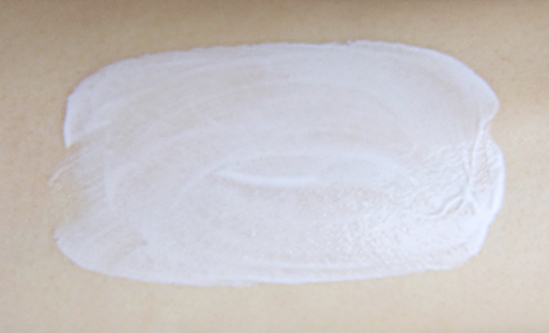 I use Avon CC cream - it's really a glorified tinted moisturizer, but I really like it. I really appreciate your sunscreen reviews! I'm still using my L'Oreal and Neutrogena sunscreens (with some VICHY) but you always remind me to look for the Asian sunscreens! I haven't heard of this brand and probably can't get it here, but the next time I swing by our Asian mall, I'll grab one of your recommended sunscreens. I did however just pick up Bobbi Brown's new primer with SPF50. I love things that multi-task like primer and sunscreen in one! Asian sunscreens usually contain a good amount of silicones, so they do make a good makeup base while keeping oil in check. You might want to try them in summer, though.